Sweat dripping down his face in the humid temperatures, surrounded by the jungle, Poudre Valley REA Safety Director Ben Ludington installs wiring to a small hut. He’s doing what most linemen never get to do in their lifetime – bring electricity to a family for the first time. 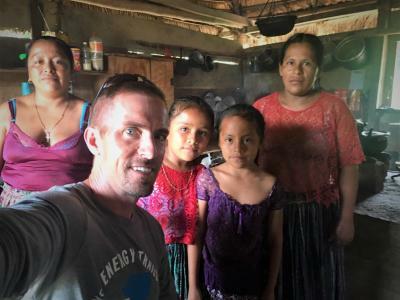 Ben and 14 other linemen from Colorado and Oklahoma spent three weeks in Guatemala, working to build power lines and bring electricity to two remote villages- Pie del Cerro and Tierra Blanca Salinas. The American linemen hadn’t worked with each other before but that didn’t stop them from bonding quickly and building new infrastructure safely and successfully - despite the extreme heat and humid climate. “The group of guys meshed really well together. We worked seamlessly. Everyone was always eager to jump in and work. Everyone wanted to be there to help,” Ben said. 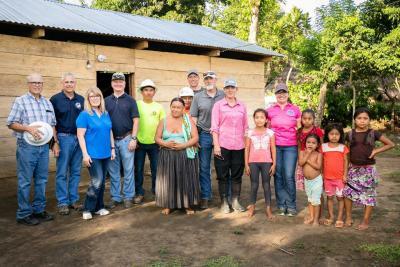 They worked with a group of Guatemalan linemen and apprentices from the local utility, Empresa Municipal Rural de Electricidad (EMRE) and had three local interpreters that helped with the language barrier. Before the American linemen arrived in Guatemala, EMRE dug holes and set all the poles where they needed to be. 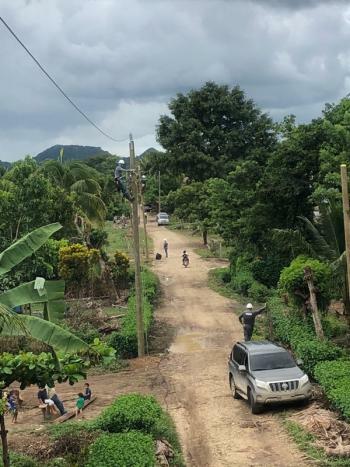 After looking over the job progress and taking inventory of the materials and tools available for the project, the linemen got to work climbing and framing the power poles and stringing the primary power line through the jungle. “We didn’t have all the tools and equipment that we’re used to working with in the United States which made the work much different and we needed great coordination between the men because we were sharing tools. It was an adjustment, but we made it work,” Ben explained. In the days following, the men finished building spans of power lines from one town to the other, hung the transformers, finished the secondary work and began connecting the meters and wiring the homes in the villages, preparing them for electricity. As the work progressed and they moved closer to the villages, they started interacting more with the locals who lived there. During lunch breaks, the Guatemalan children would come interact and play games with the men, who usually had a small gift to give to them like toys, candy or a soccer ball. Because of the limited availability of tools, the men decided the most productive way to get work done was to split into specialized groups for specific parts of the project. After climbing and stringing wire for a few days, Ben worked with the electrician and local apprentices to help wire the homes in the second village, Tierra Blanca. During this time, he had the opportunity to speak more with the local people when he went in their homes, bringing electricity to them for the first time. “They were gracious people. They had very little belongings and still always offered us something to eat or drink. They were very grateful we were there helping them,” he noted. Ben explained that the villages they worked in are very isolated, even compared to other cities in Guatemala. The material was stored in a makeshift warehouse that was part of one of the local villager’s homes. His bond with that family grew every day when he came in to grab materials. He was able to give them some donated clothes and money for their hospitality and generosity. 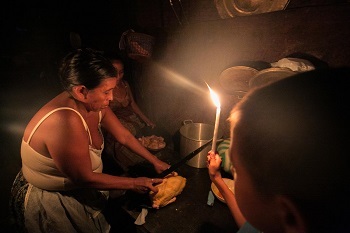 When all the work was complete, and the villages were ready to be energized, the entire group went to one of the villagers’ homes for a special “turning on the lights” ceremony. The power lines the men built brought electricity to five churches, two elementary schools, two clinics and over 100 households. The next day EMRE hosted a celebratory Inauguration Day where there was a parade, music, singing of the Guatemalan and United States national anthems and remarks from Colorado and Oklahoma officials that made the trip. They all ate a delicious lunch together and Ben and the rest of the team had the opportunity to gift water filters to each family in the villages. He also donated his tools, hooks and climbing belt to the local linemen and apprentices. “This trip was an amazing opportunity to help others who are not as blessed as we are in the United States. I’ve traveled to a lot of different countries. This trip was different for me though, because I was able to help the people and their living conditions and not just observe them. 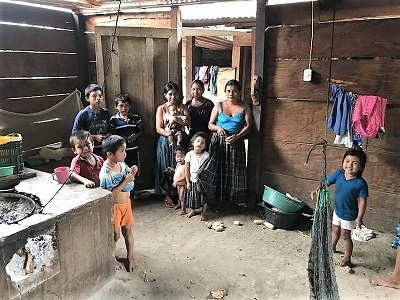 The Guatemalan people made a huge impact on me and I wish them all the best and I hope we were able to make a difference in their lives that helps them succeed further in their lives,” Ben said. Read the full story in the December issue of the Colorado Country Life. Also check out the blog from the trip.